Diagnosis: Self test diagnostic indicates no sound on Line 3. Check sound board logic. 9/23/09 – Tons of cold solder joints, pins barely holding in. Resoldered all connector headers on all boards. No change. 9/28/09 – Jiggled 2J3, 10J3 connectors (ROM board to sound board), no change. 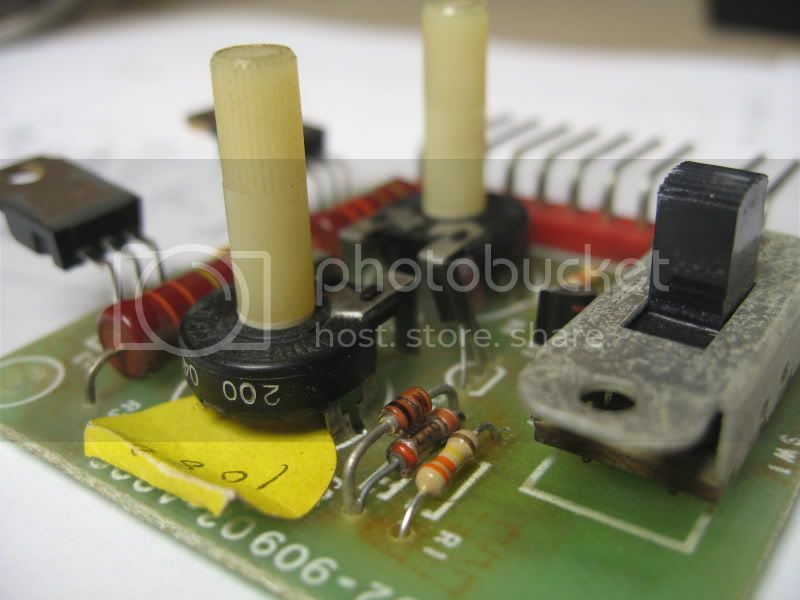 10/21/09 – Check sound board with logic probe, pin 12 on PIA stuck high. Traced back to the J4 connectors (from ROM to sound bd), all the way back to PIA on ROM board, which supplies the signal. Pin 12 stuck high & never pulsed low when I put sound test into Line 3. 4.7K pullup resistor DIP package tested good, so confirmed the chip is bad. PIA chip on order from Bob Roberts. 10/24/09 – Replaced PIA on ROM board. Sound lines all present in diagnostic screen & game sounds play fine. Diagnosis: 2A fuse blown on power brick. 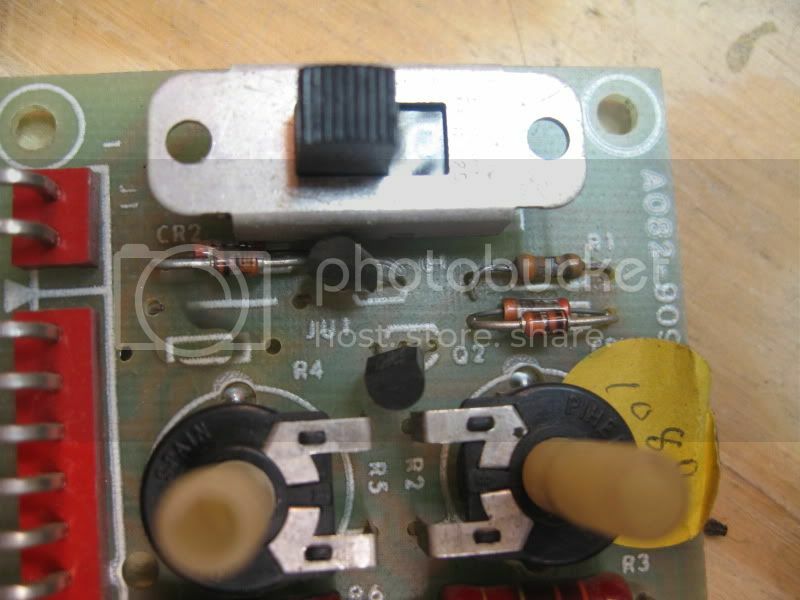 Check all fuses, then sound amp circuit. 9/21/09 – Replaced 2A fuse, no change. Pulled sound amp board and found a Kemet 15uf 20V tantalum cap at C1 shorted & 2 fried resistors at R1 & R4 with flame/smoke marks above them. Although the resistors tested in spec, I replaced anyway. 9/26/09 – Replaced C1, sound is back, but garbled and staticky. 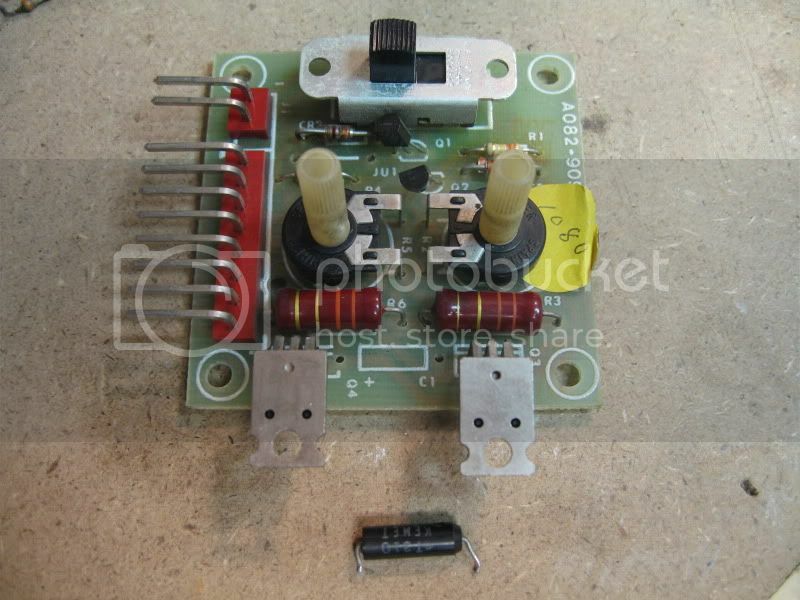 10/11/09 – Swapped in a buddy’s working amp board, sounds awesome, so it is the amp board for sure. Replaced TIP31 power transistors on mine, no change. 10/12/09 – Tested voltages, got 16v at all critical locations on board, according to schematic. Replaced CR1/CR2 with a 1N4007, no change. The diodes at these points are actually piggybacked with a glass-encapsulated monolithic capacitor. 104Z (.1uf 50v) axial ceramic caps on order. 10/24/09 – Replaced axial ceramic caps piggybacked at CR1/CR2, and volume pots, no change. Checked R1/R4 again, and realized I replaced with 330 Kohm resistors instead of 330 ohm. Replaced with appropriate value resistors & sound is back. A few unnecessarily replaced parts here, but leaving them on because board sounds better than it did before repair! 9/23/09 – Replaced 3 connectors with SCSI cables. No change. Found DIP switch thrown which was causing it to stay in test mode. Flipped SW1 open and game booted. A series of 8 self-tests occurs each time the game is powered on, or reset. The LED is on the ZPU-1001 board and each flash is accompanied by a tone. The test will stop at the malfunctioning circuit, provided all the boards are connected properly.